Slovakia (also called the Slovak Republic) is a small country located east of Austria and south of the Czech Republic. It was once part of the former Czechoslovakia. Slovakia is an emerging tourist destination. The capital of Slovakia is Bratislava. 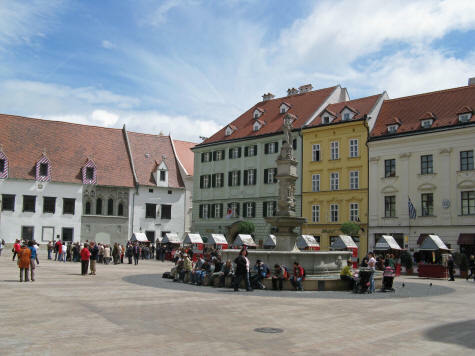 Located just an 90 minutes east of Vienna, it is a charming city featuring a wide range of architecture. Tourists can catch a train to Bratislava from Vienna or travel down the Danube River by ferry boat. Select the Bratislava Travel Guide from the menu.